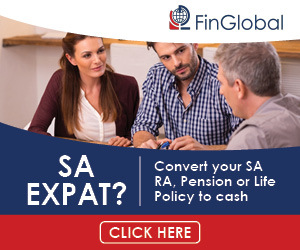 Welcome to a registered service for South African Expats living overseas, which converts your Retirement Annuity, Pension or Life Policy into cash and transfers the funds to your new residence abroad. This service not only applies to retirement annuities, but includes preservation and pension funds and policies. Please fill in your details below and you will be contacted to discuss your options.